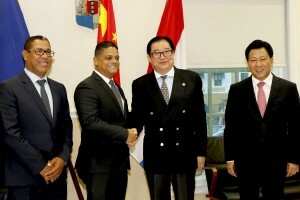 WILLEMSTAD - On Tuesday, September 26, the Prime Minister of Curaçao, Eugene Rhuggenaath, together with Director of Refineria di Kòrsou N.V., Mr Jose van der Wall-Arnemann and Representative of Guangdong Zhenrong Energy Co. Ltd. and China Zhenrong Holding Limited, Mr. Bingyan Chen signed the Addendum to the Heads of Agreement of November 19, 2016. This Addendum primarily includes the possibility of conducting a feasibility study for the construction of a new refinery at a location other than the Schottegat, where the current refinery is located. With this signing of the Addendum, the parties can continue with the process to ensure the continuity of the refinery after 2019. The government emphasizes that several steps need to be taken, but with the signing of this Addendum, a first step has been taken to speed up the process underlying the aforementioned Heads of Agreement. 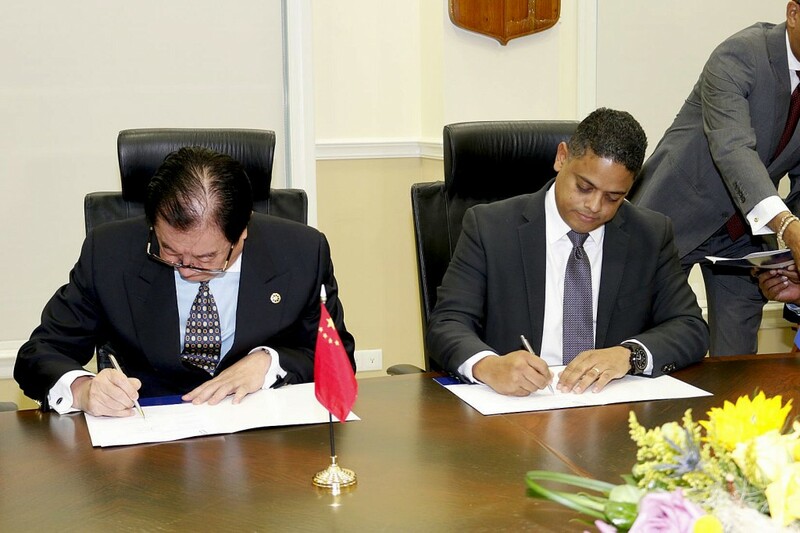 The photo shows the moment that Prime Minister Rhuggenaath, Mr Bingyan Chen and Mr van der Wall-Arnemann put their signature under the document.